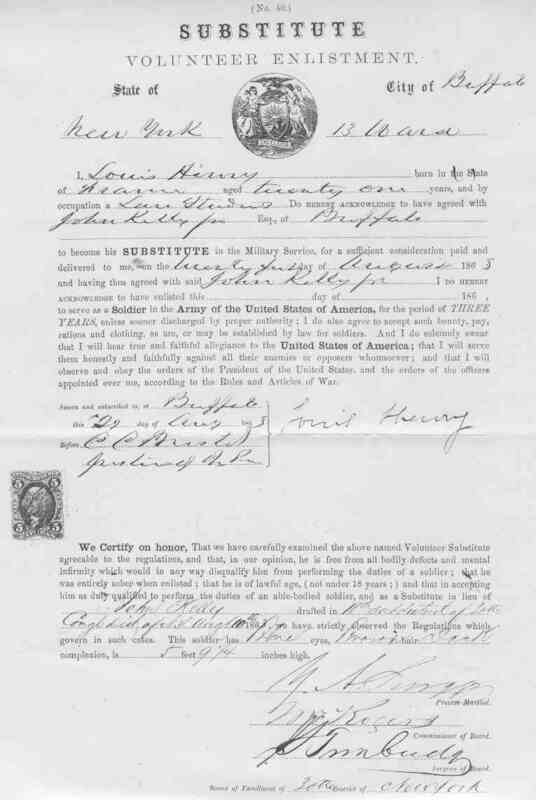 Louis Henry was a twenty one years old law student when he enlisted as a Private in Buffalo on August 21st 1863 as a substitute for John Kelly jr. He was born in Paris, France. He had blue eyes, brown hair, a dark complexion and a height of 5 foot 9 ¼ inches. 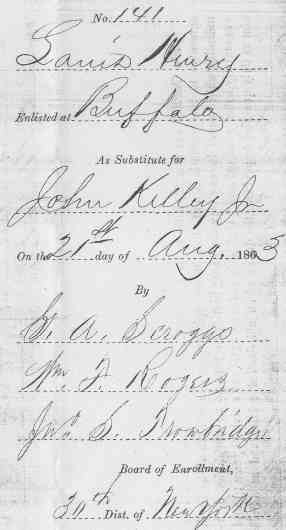 He was on the Muster and Descriptive Roll of a detachment of Drafted Men and Substitutes forwarded to the 76 Regiment New York Infantery dated Almira, New York, August 27th 1863. He has been paid a bounty of $25; the bounty still due was of $75. By September 6th, he had arrived in the field from the depot and was sent to company F.
He appeared as present on the Muster Roll of the 76th New York Volunteers for the months of September and October 1863. On 26th of November 1863, he "deserted" while on the march near Kelly's Ford. There is also a note saying: "Stoppage for gun and equipment complete $22.46." 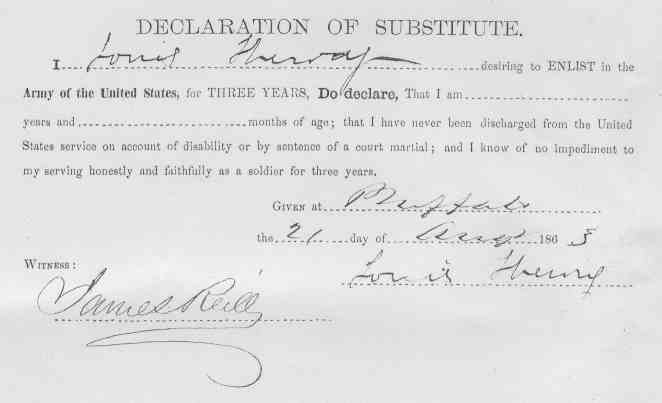 Finally, there is an entry in his name in the Memorandum From Prisoner of War Records stating that he was captured in Rapidan, Virginia, on November 27th, 1863, was confined at Richmond, Virginia, on December 8th, 1863, and sent to Andersonville, Georgia, on February 10th, 1864. Henri Césaire Saint-Pierre stated at a Reunion of the 76th New York that he had enrolled in Buffalo as Louis Henry. He was born in Rigaud, Lower Canada, on 13 September 1842, and not in Paris, France. So he was not quite 21 at the time. He had indeed been studying law in Kingston, Upper Canada.